One morning a few years back, while waiting on a flight at Hartsfield-Jackson International Airport, I had to do something to address the rumbling in my stomach. It was barely 10 a.m., and my gate offered only two immediate options: Chick-fil-A and the Varsity, both quintessential Georgia fast-food institutions. I chose the latter. I was craving a slaw dog, and I scarfed down two—not the least bit ashamed of my choice in breakfast. Slaw dogs first popped up in West Virginia in the early 1920s and became popular in that region during the Great Depression, in the years when hot dogs and cabbage were affordable for most struggling families. 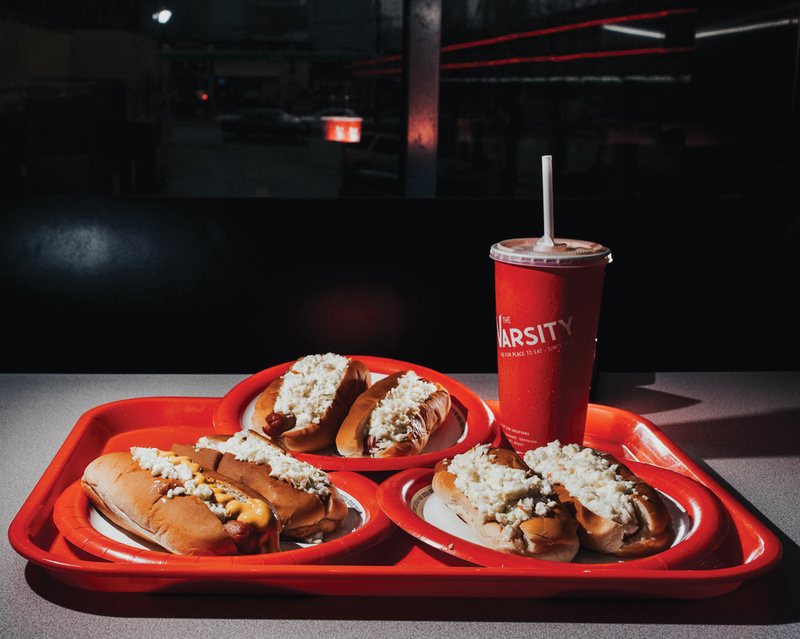 “Basically, nobody had any money, and in thinking of what to eat, it had to be something cheap and memorable,” says Christopher Scott Jones, a contributor to the West Virginia Hot Dog Blog. I grew up in Atlanta, with a Southern mother who ate slaw dogs frequently while I frowned. It took a while for me to appreciate the joy of a boiled hot dog in a warmed bun, topped with biting yellow mustard that’s the perfect foil to sweet, tangy, creamy coleslaw. I can see why. Once you acquire a taste for them, they’re easy to covet—even in the morning. Want to impress at your next cookout? Throw these local franks on the grill.